Child labour has been a major concern in the world because it affects the children both mentally and physically and it also destroys the future of children. 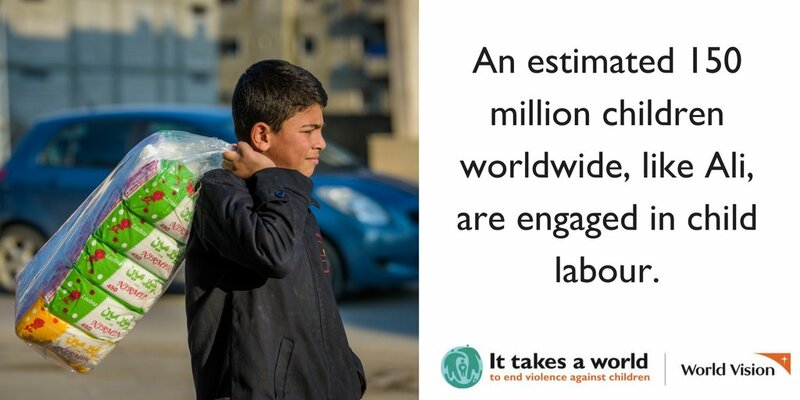 Child labour is one the serious issue not only in India but also in other developing countries. It is widely prevalent in developing countries because of poverty .it is a great social problem because children are the hope and future of a nation. There were many laws enacted to prohibit child labour but they are ineffective. According to 2017 statics India is one of the leading countries in Asia has a whopping 33 million children employed in various forms of child labour. Let me explain the major laws enacted to prohibit child labour and their impacts on society under the following sub heads. “Child” as defined by the child labour (prohibition and regulation) Act 1986 is a person who has not completed the age of 14 years .As a layman we can understand that Child labour is the practice of having children engage in economic activity, on a part or full time basis. Every child is considered as a gift of god, it must be nurtured with care and affection with in the family and society. But unfortunately due to the socio economic problems children were forced to work in industries, leather factories, hotels and eatery. The child labour is not an isolated phenomenon it is coupled with socio economic problem of the society so in order to eliminate child labour first we should focus on socio economic issues of the society. It is in the hands of administrative .It should bring effective measures to eliminate child labour. Poverty is one of the main causes of child labour. In developing countries poverty is one of the major drawback and the children were considered as helping hand to feed their families, to support their families and to support themselves .Due to poverty, illiteracy and unemployment parents are unable to send them to schools, instead the children were asked to help them in running a family so that the poor parents send their children for work in inhuman conditions at lower wages. The poor economic conditions of people in India force them to borrow money. The illiterate seek debt from money lenders during emergency situation .At later point of time they find themselves difficult in paying back the debts and interest, as a result the debtors were made to work for money lenders and then debtors drag their children too in assisting them so that the debts could be paid off. There are some industries such as the bangle making industry, where delicate hands and little fingers are needed to do very minute work with extreme excellence and precision. An adults hands are usually not so delicate and small, so they require children to work for them and do such a dangerous work with glass. This often resulted in eye accidents of the children. Universal declaration of human rights 1948 – stipulates under article 25 para 2 that childhood is entitled to special care and assistance. The above principles along with other principles of universal declaration concerning child were incorporated in the declaration of the rights of the child of 1959.
International covenant on civil and political rights under articles 23 and 24 and international covenant on economic, social and cultural rights – under article 10 made provision for the care of the child . International labour organisation (ILO) – provides universal standards and guideline, a specialized agency of UN ,aims to provide guidance and standards for labour practices around the world . Convention on the rights of the child, 1989 It is another international instrument which protects the child. 1. No child below the age of 14 years shall be employed in any factory or mine or engaged in any other hazardous work. 2.state in particular shall direct its policy towards securing that the health and strength of workers, men and women and the tender age of the children are not abused and that citizen are not forced by economic necessity to enter vocations unsuited to their age or strength. 3. Children are given opportunities and facilities to develop in a healthy manner and in conditions of freedom and the dignity and that childhood and youth are protected against exploitations and against moral and material abandon. 4. The state shall endeavour to provide, within the period of 10 years from the commencement of constitution, free and compulsory education for all children until they complete the age of 14 years. 5. The state shall provide free and compulsory education to all children between the ages of 6 to 14 years as such a manner as the state may by law determine. 6. Who is parent or guardian to provide opportunities for education to his child or the case may be, ward between the age of six and fourteen years. There are wide range of laws ,which guarantee the substantial extent the rights and entitlement as provided in the constitution and in the UN convention. *India is one of the leading countries in Asia has a 33 million children employed in various forms of child labour .It is shocking that world’s largest democracy is yet to ratify the Minimum age convention 1973 (No 138) of the International labour organisation (ILO) that lays down ground rules for employment of minors across the globe. *world day against child labour on June 12 is an ILO sanctioned holiday first launched in 2002 with the objective to raise awareness and activism to prevent child labour under the above convention .An estimated 150 million children are involved in child labour worldwide as per UNICEF data. *On the other hand Article 2 of the Minimum age (industry) convention of the ILO, 1919 which has been ratified by India does not allow children under 14 to be employed in any public or private industrial undertaking, does not even apply for India. * According to a Livemint report ,the government last year amended child labour laws to allow children below 14 to work in family businesses and the entertainment industry (excluding circuses ) in order to create” a balance between the need for education for a child and reality of the socio economic condition and social fabric of the country”. *Not only that amendment also modified the definition of adolescents- to children between 14 and 18 years of age and barred them from working in any hazardous industries only. *1 in every 11 children in India works to earn a living ,according to statistics by action Aid India *There are five states which are India’s biggest child labour employers Bihar, Uttar Pradesh, Rajasthan, Madhya Pradesh and Maharashtra, as per data given out by save children NGO. National capital Delhi is responsible for a share of 1 million child labour alone. *A recent analysis by CRY of census data in the country shows that the overall decrease in child labour is only 2.2 per cent year on year, over the last 10 years. Also it has revealed that child labour has grown by more than 50 percent in urban areas. *There are 33 million child labourers between the ages of 5 – 18 years in INDIA as per census 2011 data and 10.13 million between the ages of 5- 14 years. *Considering that there are 444 million children India under the age of 18, they form 37 percent of the total population in the country. *Therefore the child labourer in the country in real figures boils down to 10,130,000 kids involved various occupations across the hazardous sectors and this is only data from six years ago. The main cause of child labour is higher poverty level .These children have no choice other than working as a labour in the factories child labour for these children is survival .if they don’t work they will die of poverty and hunger. They are the future of India .None of these children have the privilege to going to school and being able to go to a house at the end of the day. The child labour is prevalent at a large scale in the country. In Punjab it is found in hotels, restaurant, tea stalls, for which the administrative authorities, parents, educationalist, police officials and employers of public authority is responsible. There is lack of implementations of child laws. Since politicians and other authorities ignore it and the various departments for the labour laws fails to implement the laws properly .Laws remain merely on the paper for which the lack of control of population and increasing unemployment are the major causes and politicians fear to tackle these problems in view of their vote banks. The remedy is only in the hands of the government, it should take necessary steps to eradicate poverty through employment to the parents of the child labour .Necessary practical steps should be taken to educate the children .The government should allocate the necessary funds to educate and nurture the poor children. The violators of child labour laws should be punished accordingly. There are many laws and regulatory departments for child labour, yet it is ineffective in controlling ongoing child labour. This is possible only when there is a cooperation of all the sections of the society and the law enforcement agencies and by removing or minimizing the causes of child labour. The main thrust should be on controlling the population of the country, education of the children and providing sufficient funds for its removal from the gross domestic product of India.